A community bands together to rebuild following devastating wildfires. 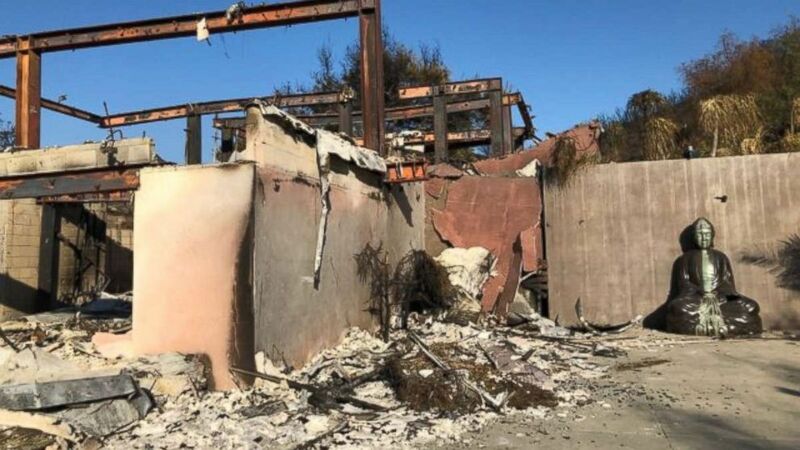 Days after celebrating a historic vote to legalize marijuana sales in the city, the owners of Malibu’s only cannabis dispensary are now picking up the charred remnants of their life in the wake of the devastating Woolsey Fire. 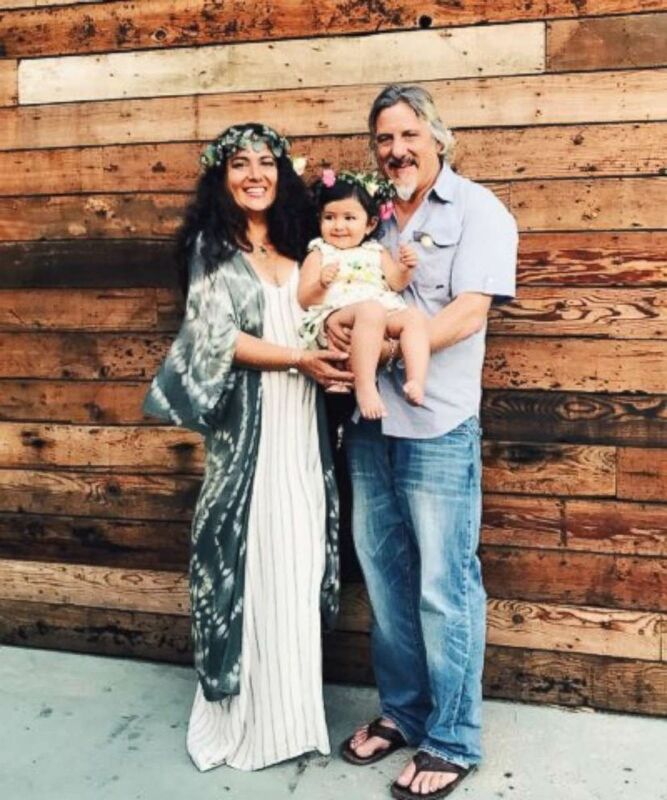 Earlier this year, Yvonne DeLaRosa Green, an international actress and the co-owner of 99 High Tide Collective along with her husband, Sam Boyer, invested her money and worked with local lawmakers and activists in Malibu to co-write “Measure G,” a bill that would allow dispensaries to sell and deliver recreational cannabis in the city. The measure could bring $75,000 to $150,000 in tax revenue to the city each year, according to an estimate on the ballot question. The measure pushed for by DeLaRosa Green passed with 70 percent of Malibu voters’ approval on Nov. 6, just days before her home burned to the ground. (Sam Boyer) Yvonne DeLaRosa Green's home in Malibu, Calif., was destroyed by the Woolsey Fire. 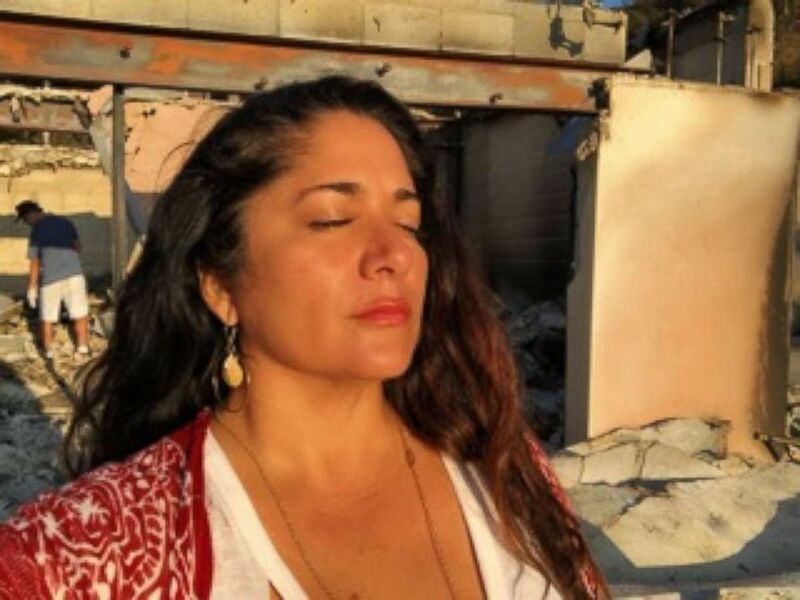 Brush fires are nothing new for DeLaRosa Green -- she's lived in Malibu her whole life. 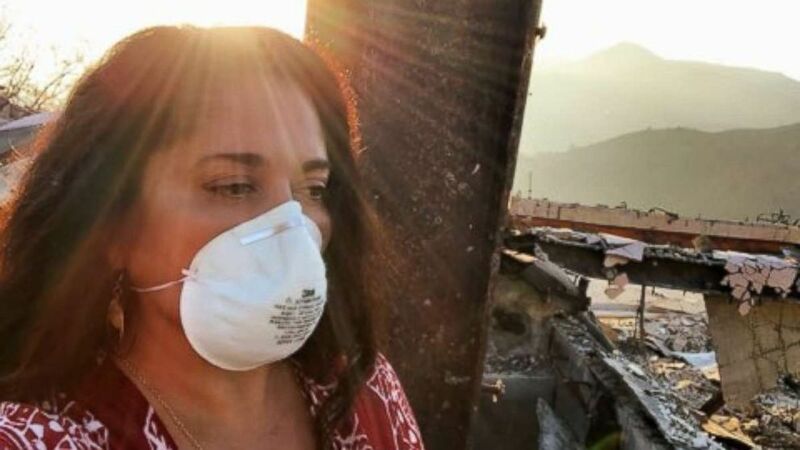 DeLaRosa Green remembers watching the evening news on Nov. 9, thinking the Woolsey Fire wouldn’t jump over Highway 101 and eat through her community. Hours later, she awoke to the intense smell of smoke in her three-story home. She realized there was no electricity, and as she and Boyer looked outside, they saw the sky grow dark. The couple grabbed their sleeping 2-year-old daughter and their pets, and fled their Malibu home. Her house would eventually join the 700 homes destroyed in the city. DeLaRosa Green's store in Malibu, 99 High Tide, wasn't damaged by the fire, but she had to shut down for two weeks -- costing her plenty of business. She doesn't grow her own weed, but instead buys from growers who have had their own difficulties. “Anytime there is a major fire, it has an ability to affect anybody, really,” said Kevin Jodrey, owner of Wonderland Farms in Northern California. Jodrey warned that if “it had happened a month earlier, it would have been catastrophic for cannabis farms.” Luckily for businesses, much of the crop had already been harvested. Jodrey noticed during one of his annual Golden Tarp competitions -- the second-largest cannabis competition in the U.S. -- that when marijuana buds grow in areas susceptible to fires, contaminants from the fire will stick to the marijuana and make it a complete loss. “There’s no insurance on this,” Jodrey, a 40-year veteran of the cannabis industry, said. The California Bureau of Cannabis Control has strict guidelines on marijuana -- requiring the testing of cannabis for pesticides and microbiological contaminants. A wildfire could easily contaminate a farm, rendering outdoor crops unusable tens of miles away. Indoor facilities, an alternative, are expensive. They require large amounts of power and don’t allow for farmers to sell marijuana at competitive prices. “I think with cannabis, the only way to get reasonable pricing is to do it outside, and that has the least amount of environmental impact,” Jodrey said. Because the federal government still considers marijuana a Schedule I controlled substance, banks risk federal crimes for doing business with cannabis companies. “Had we been able to bank properly we would have some money,” DeLaRosa Green said. DeLaRosa Green says insurance companies are now insuring cannabis businesses, however, coverage doesn’t include loss of cash or business, she said. The insurance is limited to theft or employee and customer liability. “People who sell alcohol, which kills people everyday, people who sell pharmaceuticals, which kills hundred every day, they are able to bank, they’re able to have insurance. They’re able to have all of the protections that any other business has,” DeLaRosa Green said. She told ABC News that many of her clients have been displaced by the fire. Her business is trying to help by offering free medical marijuana and massages. “Even though the government isn’t necessarily helping cannabis businesses like ours, we’ve come together as a community and we’re helping each other get through this difficult time,” DeLaRosa Green said. (Sam Boyer) Yvonne DeLaRosa Green and her husband, Sam Boyer, pose with their 2-year-old daughter, Summer Rain. The family lost their home in the Woolsey Fire. However, SBA officials are giving Californians, including dispensary owners such as DeLaRosa Green, only 60 days to apply for a low-interest disaster loan. Each application is reviewed individually within two to three weeks on a case-by-case basis. The SBA says it’s received fewer than 200 applications from business owners impacted by the California wildfires. DeLaRosa Green and Boyer didn’t have fire insurance for their home. They had also invested most of their money into getting Measure G passed. To help them pay for the damage, friends and neighbors set up a GoFundMe page, which raised nearly $20,000 in nine days. 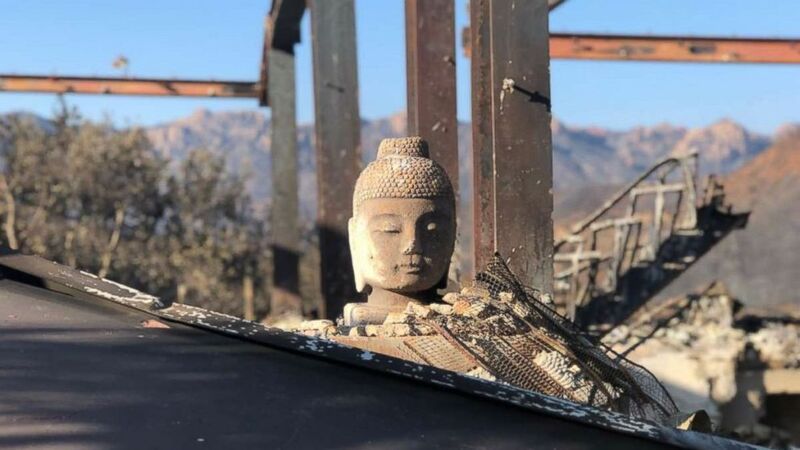 Though most of the possessions that were in her home are now gone, statues of Buddha and Ganesha, the Hindu god of removing obstacles, survived.